Gurnemanz are a 1970’s German folk band playing their own arrangements of the traditional songs of England and Ireland. This is a re-release of their first album from 1972. The recording method of this album, according to the accompanying booklet, seems so very primitive in the realm of modern day technology, but that to me makes the end result of this CD all the more special, for the fact that it is audible at all. I take my hat off to 'em! The sound of this album is mainly folk music done in the style of let’s say Pentangle rather than Johnny Handle. It is a montage of instruments including Lute, Flute, Zither, Sitar, Guitar and Bass, and together they build an ambient picture, re-creating and capturing the sorrow of the lyrical woes, perfectly in the dulcet tones of the music. 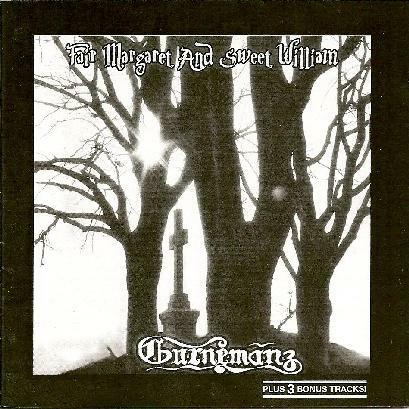 Gurnemanz have a similar style of folk music to Pentangle, but it should be noted that Gurnemanz do not sound totally like Pentangle. I use Pentangle as a base for style, as it is the style rather than the sound I want to get across, but then again Gurnemanz could be likened to a rough sounding Pentangle, without the drums and the quality guitar duo of Bert Jansch and John Renborne! On the whole I like them, and I did not find a bad song on the album. It is rough, but it shows creativity and passion where the sound quality may lack. This however is due to the difficulties that they had in getting hold of recording equipment back then without enough money to do so. They had to make do with what they had; and it is with this ethic that the true energy of their music shines through, making the listen all the more priceless.